A flight scheduled to arrive in D.C. late Wednesday afternoon never got off the ground due to suspicious activity aboard the plane. 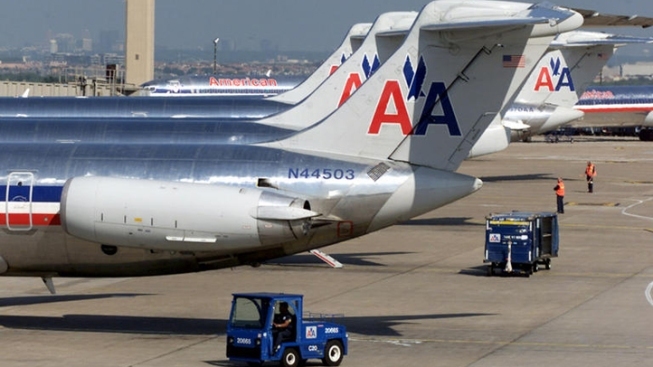 American Airlines Flight 1316, scheduled to arrive at Reagan National Airport before 5 p.m., was canceled before departure from Dallas-Fort Worth International Airport due to passenger behavior deemed suspicious and a potentially suspicious item. Authorities questioned the two suspicious men and released them. They rebooked their flights, as did the rest of the 140 passengers. The flight was canceled due to the length of time it took to re-screen passengers and bags and sweep the plane. No threatening items were found, NBCDFW reported. The cancellation followed a passenger observing something that appeared to be suspicious and alerted the crew, according to NBCDFW. An airport source told NBCDFW that a bag was deemed suspicious due to the printer it carried. Last year, explosives-packed printer cartridges were discovered in cargo bound for Chicago.